Police hunting the killer of Amanda 'Milly' Dowler are trying to trace people who drank from a coffee mug stolen from a Wearside church. Surrey detectives have been working in Sunderland for a number of weeks, following the discovery of DNA on a mug in a church in Ryhope. 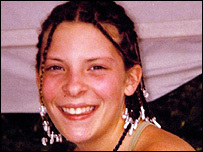 The DNA has been matched with that found on an item of clothing in the schoolgirl's bedroom 300 miles away. Police say they are not directly linking this match with Milly's abduction and murder, but they need to eliminate the match from inquiries. Almost 60 men in the Ryhope area have provided mouth swabs in support of the investigation, but no DNA match has been made. Detective Superintendent Steve Scott from Surrey said: "We've had enormous support from Northumbria Police and people in the Sunderland area, but we would still like to identify the person who left their DNA on this mug." The woman who bought the mug and donated it to the church has already come forward. 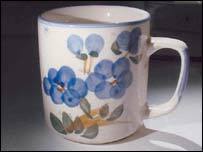 Police now want to establish who drank from the mug on or around 31 October 2002 - the day the church was burgled. Police have already confirmed that the DNA of the men arrested for the burglary does not match that recovered from the mug. Detectives said the item of clothing found in Milly's bedroom with DNA evidence on it was a corset-style bodice bought from New Look in September 2001. The top could have been bought from the New Look shop in Kingston, Surrey, but it is believed she never wore the garment.